Sig is releasing their latest Concealed Carry pistol. It aims to beat out the venerable Glock 43 and S&W Shield with it’s high quality brand recognition. It’s also bringing along it’s chassis system design features! I ordered a P365 from Rinks Gun shop in Illinois on January 12th. No word yet as to when Rinks will receive it. Sig shouldn’t advertise the release of a gun they can’t deliver. By the way, I own other Sig’s, the 1911 STX, P938 SAS, and P238 Pearl. 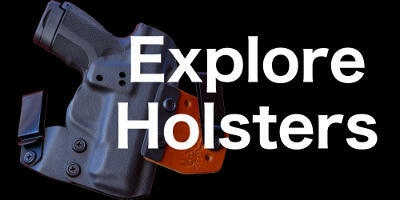 Clinger Holsters designs comfortable and adjustable holsters. So comfortable, in fact, you'll Conceal Carry everyday.